Producer Andre Anjos put on an incredible show with RAC at 9:30 Club in Washington, DC this week. 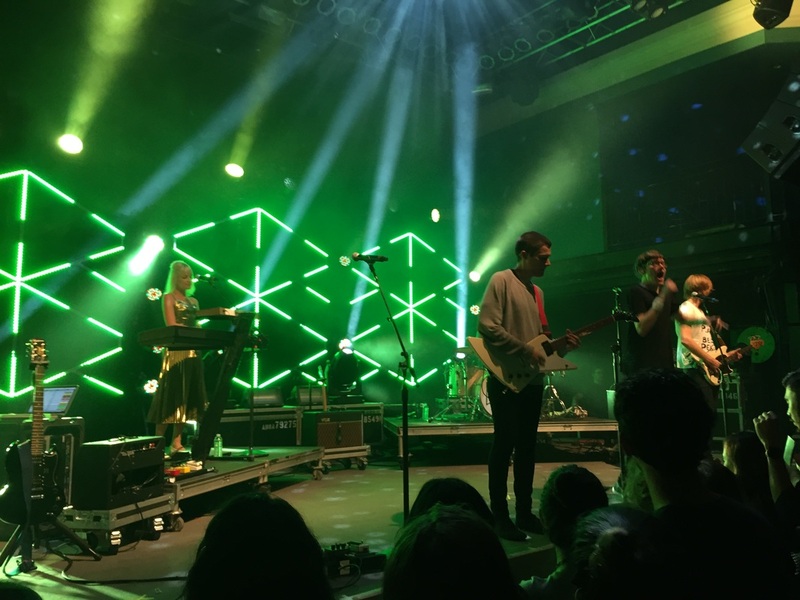 After stellar performances from openers Pink Feathers, filous and Big Data, Andre took the stage with his guitar, accompanied by members of a tour band (and his wife, Liz Anjos of Pink Feathers) who rotated the roles of lead vocals, bass guitar, keyboard and drums. RAC’s set featured original songs as well as remixes that kept the packed crowd dancing for the entire 75-minute set. The group opened with a remix of Foster The People’s “Houdini” which set a high-tempo and high-energy mood for the rest of the night. People went wild for RAC’s original “Cheap Sunglasses” as well as remixes of Two Door Cinema Club’s “Something Good Can Work” and Odesza’s “Say My Name”. Andre made an impression on the fans early on in the show, whispering “DC it’s been far too long” and musing that it was his third time performing at the 9:30 Club. It was obvious from the beginning that the performers were having an incredible time – which made for an electric mood among the crowd. The live band really highlighted Andre’s production skills and each member was extremely talented. Overall, this was a fantastic show – definitely a must-see. Last month we had the opportunity to interview Andre – read the interview here. Look out for RAC on the rest of their 2015 tour!